If you’ve seen Food, Inc. or read any Eric Schlosser, Michael Pollan, or Rachel Carson, you know that the sustainable food movement is trying to address the social and environmental problems created by an industrial farming system in which convenience and profit trump everything else. 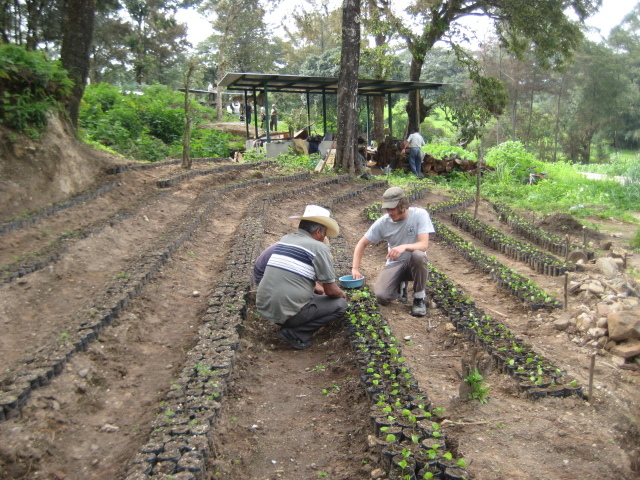 The responses to industrial farming have included critiques like Silent Spring, the back-to-the-land and organic farming sparks of the late 1960s, the family farm movement that resisted bankruptcy and corporate consolidation in the 1980s, and now the urban farming movement that has burgeoned in the past 10 years. Many elements of the sustainable food movement have been organized by (or for) the two most obvious sectors of the food system: Eaters and producers. In parts of the world where populations are still largely agrarian, eaters and producers are often the same people, but here in the United States (where the farming population hovers around one percent) consumers have been the dominant focus of food policy, at least for the past 40 years. In the global North, much of the past 20 years of activism has framed the concept of “food security” as the right of all people to have enough food to avoid hunger and malnutrition. A new effort underway to deepen food activism focuses on a more radical idea: The concept of food sovereignty. The global food sovereignty movement is making the case that reform of the food system will be insufficient if it does not democratize and make more transparent the means of food production. We’ll never be able to resolve the environmental and social abuses of industrial agriculture without changing who controls the food system. These deeper questions illustrate why the term “food sovereignty”–pioneered by the international peasant alliance La Via Campesina–is increasingly being adopted food movement activists across the globe. 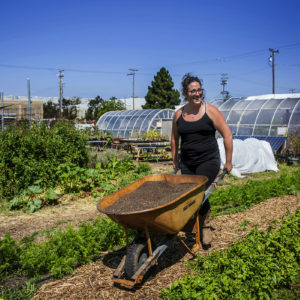 Ashoka Finley, who works for the Richmond, California urban farming organization Urban Tilth and has been closely involved in the Occupy the Farm effort at the University of California’s Gill Tract, considers himself a food sovereignty activist. That “taking part” is what distinguishes food security from food sovereignty, and what makes food sovereignty such a compelling and important idea. Yes, of course, providing food for people in need is essential, but a soup kitchen a food bank or a Supplemental Nutrition Assistance Program (SNAP) card is not enough to create food sovereignty. Even planting gardens in urban areas (full disclosure: my area of employment!) doesn’t amount to food sovereignty. 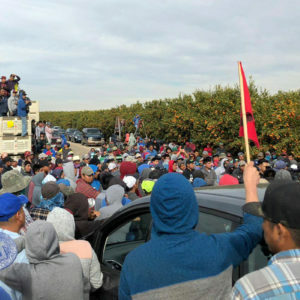 The entrenched corporate opposition to food systems change has pushed food sovereignty activists beyond the direct action approach to address the institutions of power. After a long period of focusing effort outside the political system, activists are now looking to the government for change. In the mid-2000s, for example, the federal Farm Bill finally became a top priority for many sustainable agriculture advocates. Long after the law was the main target of efforts to ensure food security (through SNAP). But, it has remained close to impossible to use the Farm Bill as a tool to promote food sovereignty. Recent lobbying over the Farm Bill provides a clear example of the complexity and difficulty transitioning from a food security movement to a food sovereignty movement. Food security activists (often representing low income urban constituents) have been pitted against farm sustainability activists (more often rural-minded) over the funding that the bill controls. In an era of austerity, this can lead to Sophie’s-choice like dilemmas: Either cut food stamp funding or cut programs that provide support to farmers transitioning to organic methods of production. Luckily, there’s an alternative to this false choice. 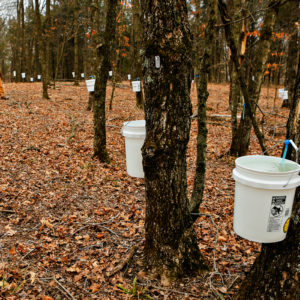 That choice is to develop democratic spaces at the local and state level to craft collaborative solutions that benefit both consumers and producers. Across the country, Food Policy Councils (FPCs) are bringing together diverse constituencies to determine how local policy can be leveraged to achieve positive food system change. These local groups identify problems as a community and then seek to solve them through a process of consensus-building and pressuring local governments. Food Policy Councils have worked on things like institutional food procurement, the use of urban open space for agriculture, nutrition education and funding for food banks. More recently, FPCs are scaling up, coming together to affect policy on the state and federal levels. The food movement’s shift from security to sovereignty can be instructive for the broader movements for environmental sanity and democratic governance. By asking the simple question, “Who’s in charge here?” food sovereignty elevates the importance that power has in our food systems. The concept expands our critical capacity beyond consumer choice to consider that we are all “co-producers” of the food system. “Sovereignty” is a frame that can be used to think about process in relation to natural resources, not just outcomes, and it can help encourage solidarity and cohesion amongst myriad movements and sectors within the food movement and outside of it. Social movements focused on sovereignty can help build a more democratic and accountable political system. This, in turn, would allow for a more sustainable approach to natural resources, and a more egalitarian economic system. By talking “sovereignty” from the start, change-makers can pursue a mutual end goal from any number of individual struggles. When Paul Hawken described “the largest movement on Earth” in his book Blessed Unrest, he was clear that the millions of individual and NGO efforts to help were a movement, but just didn’t act like one. Sovereignty, whether of food or fiber or healthcare, may the concept needed for these many struggles to become the movement that it could be. Food sovereignty movement in Maine blazing a trail. Significant local and state level changes underway. Happy to talk with you about it sometime. http://www.whyhunger.org/getinfo/showArticle/articleId/3557. When we advocate for food sovereignty by railing against established producers or by attempting to ram poorly written legislation down their throats our negativity brands us as meddling interlopers. Instead we must build, literally from the ground up, an honest straightforward working system, a truly viable and desirable alternative to naturally displace deplorable established systems. That we have failed in scaling up our hokey little demonstration plots should have us recognizing our philosophies are half-baked, instead of simply railing harder and uglier against successful large scale systems. If we are to install a whole new civilization we can never prevail by merely taking potshots from behind the flimsy shield of our own proud ignorance.